The food system is broken, will you help to fix it? As part of our debate around the future of food, we’ve invited Duncan Williamson, senior food policy officer at the WWF UK, to talk about what he thinks we should do to ensure a sustainable future. The food system is not working. We are not feeding the world, though we produce enough food to feed over 8 billion people. There are still 1 billion people malnourished, while another 1.5 billion are overweight or obese. This system is the largest contributor to climate change, responsible for 30% of greenhouse gas emissions, use of 70% of available freshwater, 30% of global energy, and is driving land use change and biodiversity loss. For several years now, leading scientists have been talking about a ‘perfect storm’ in around 2030, as pressures from increasing human demands for food, fresh water and energy place increasing stresses on our planet. 2030 is only 18 years away, and the journey to the perfect storm has begun. There is drought in the US, Russia, the Southern Mediterranean and India. This will affect food supply and drive up the price of our shopping baskets – a trip to the supermarket in the UK will cost more because of these significant global events. This year is not an isolated case. 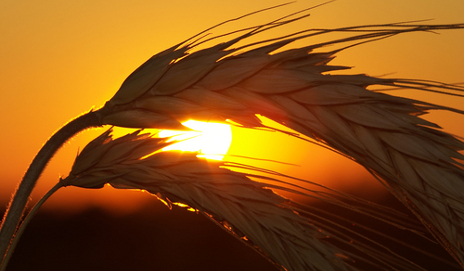 In 2010, after a record breaking heat wave, Russia banned wheat exports to conserve supplies. The Sindh Floods in Pakistan in August 2011 affected at least 1.7 million acres of arable land. What can we do? The UN Food and Agriculture Organisation (FAO) says we might need to produce 60% more food by 2050. They say this is one possible scenario based on ‘business as usual’. But it’s not the only solution. If we tackle all the inherent problems of the food system: loss and waste, distribution, women’s rights, smallholder productivity and consumption, the FAO says we won’t need to produce any more food at all. Being realistic, the real figure of how much extra we must produce will be somewhere between the two extremes. As consumers we need to look to our plates. We are eating the wrong foods, too much meat and highly processed food and not enough plants and we are eating far more than we need. At WWF we have demonstrated through our Livewell plate it is possible to have a sustainable diet – one that is good for the planet and for our health. But will a healthy diet cost us more? Our work has shown that it doesn’t have to. In fact, when you look at the subsidies and tax breaks which support the food system, and the costs direct and indirect of treating diet related ill health, and the costs of replacing ecosystem service we cannot afford to not move to sustainable diets. Retailers, food manufacturers, government and consumers all have a role to play. For too long the excuse for inaction from all stakeholders is to shift blame, saying it is not our fault. The government says it is the job of industry to police itself and it is not government’s place to tell people what to eat, though they publish nutrition guidelines. Businesses say government must lead the debate and give guidance, but no regulation please, and they only respond to consumer demand. While as consumers we have abdicated responsibility saying we look to government to lead and we trust retailers to edit our choices for us. All the stakeholders are saying ‘it’s not my fault’. This needs to stop; it is time to move towards collective responsibility. Knowing the impact our current methods of food production have on world resources, would you change your diet? Which? Conversation provides guest spots to external contributors. This is from Duncan Williamson of the WWF – all opinions expressed here are WWF’s own, not necessarily those of Which? Yes more than willing do my bit but most of us are unsure on how to effectively assist. The WWF link provides a useful guide but you should inform them that the wwf.org.uk/livewell link on their site returns a 404 error. Thanks skeptictank – will let them know! Yes, We do all need to take responsibility now! I believe one of the biggest problems in the uk is waste. Not just consumers but manufacturers and supermarkets. Composting is not good enough. Unspoiled surplus should be distributed amongst those who need it, such as low income families, homeless etc. If we have a square metre of land/space free, we could be cultivating vegetables. We all need eat healthily, with less meat, which is not encouraged by the ‘Low Carb’ diets, which allow people to consume large amounts of food while maintaining weight. We are confused by all of the contradictory advise given by health professionals and scientists. Some promote ‘Low Carb’ diets while others promote low meat based proteins. Attention should be brought to this matter, through whatever media is necessary. We all need to be re-educated. Though not old enough to know anything of ww2 or rationing, I enjoy watching documentaries relating to the ‘make do and mend’ attitude that existed then. We could use that now. We are eating the wrong food but to imply that this equates to too much much and not enough plants is a gross over simplification. As Zoe Harcombe points out “Red meat from grass living animals is the healthiest food that humans can consume” (http://www.zoeharcombe.com/blog/). As for eating far more than we need – there are vast numbers of people in western society who are both overweight and at the same time alarmingly undernourished because they are consuming too many plants (or derivatives thereof – wheat, grains and fructose – can you say heart healthy low fat high carb). Finally, you see all of this advertising from this supermarket and that supermarket claiming that your shopping would cost less from them. One such advert from the supermarket in green shows a trolly full of junk food. I would be interested to see an organisation such as Which? take a weeks worth of shopping that equates to the RDA (not that this is necessarly a true reflection of what we should be eating but would stand strong as a good yardstick) of say a family of 4 and see who comes out on top.